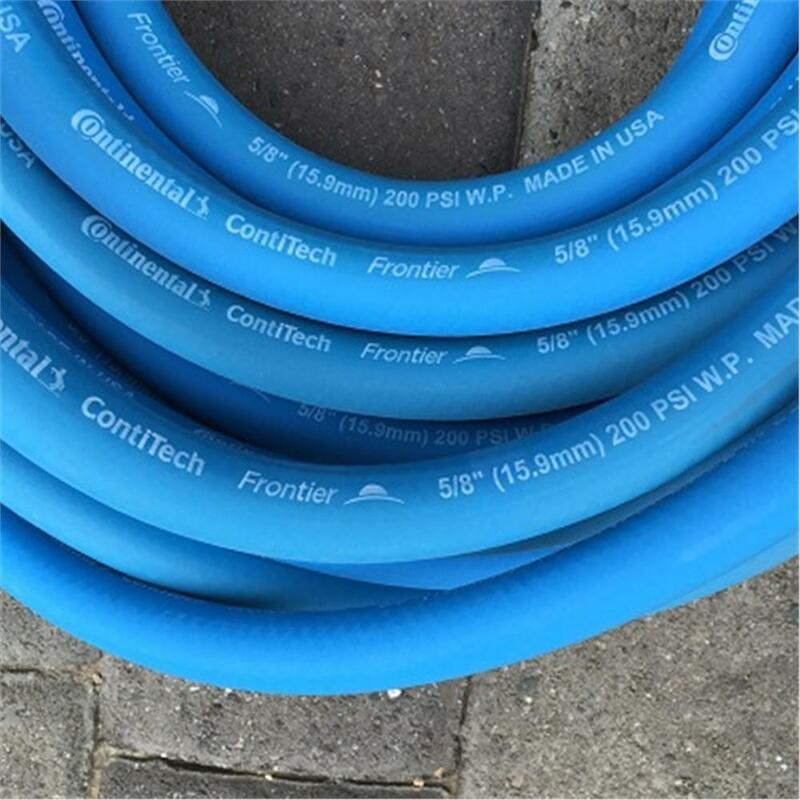 200 psi commercial grade water hose made of Continental rubber. 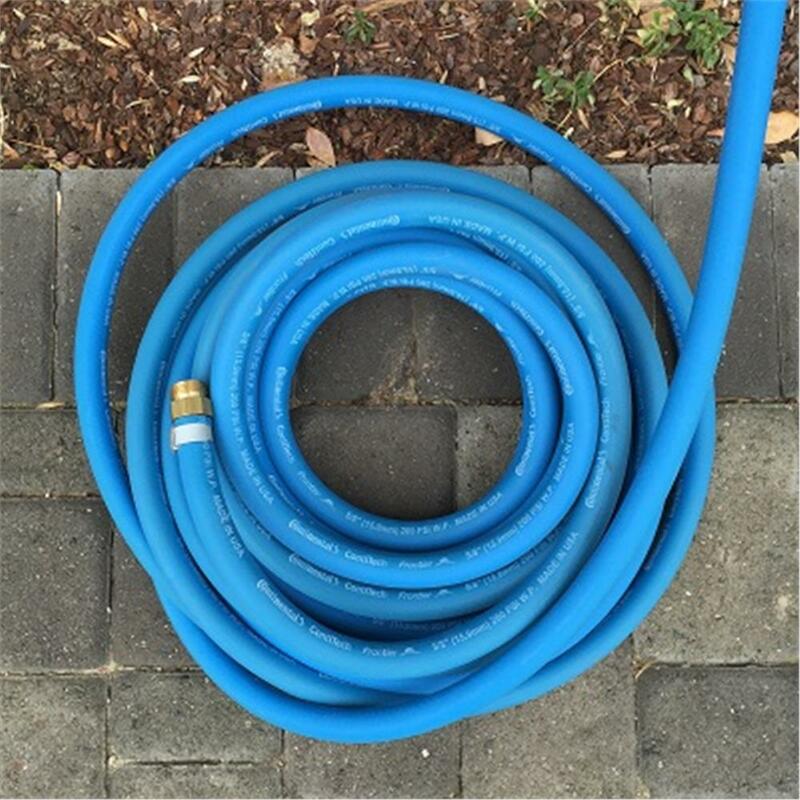 This 5/8" hose is extra durable and resistant to kinks. 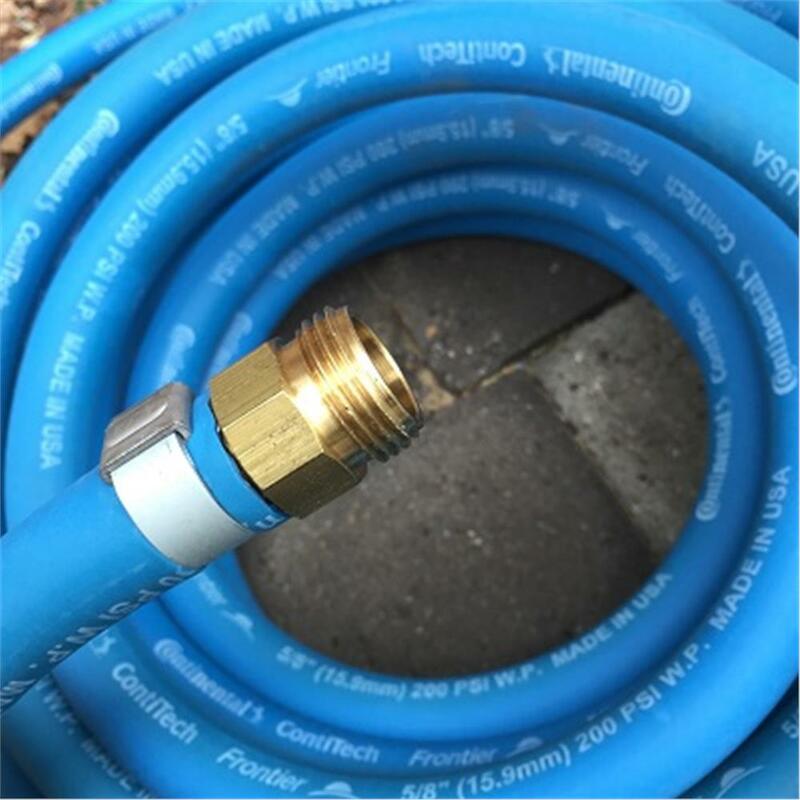 The hose features a specially designed Swivtech 360 fitting. 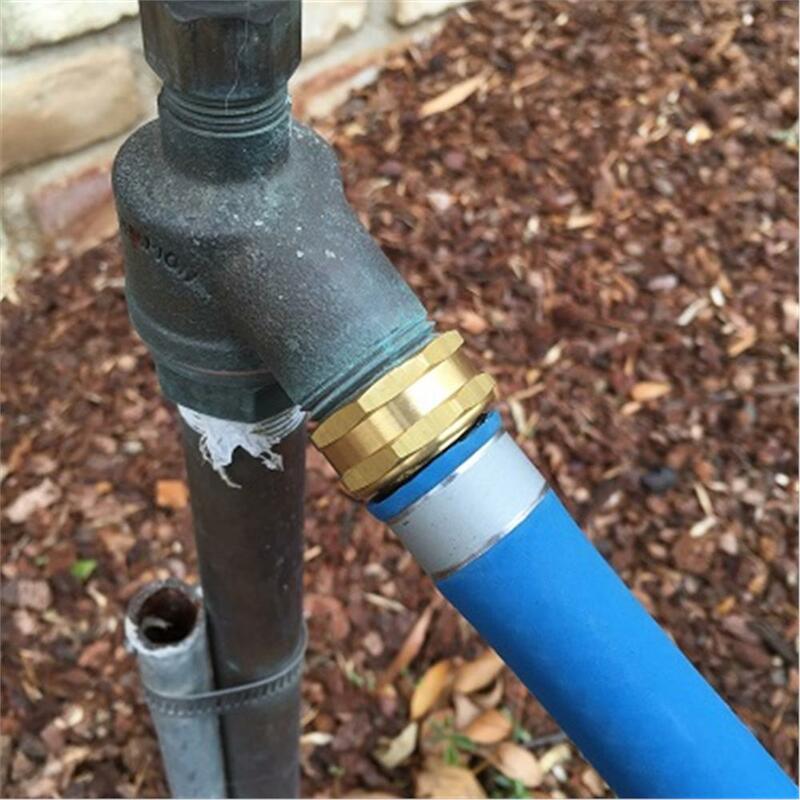 This allows the hose nozzle to swivel and rotate when it is used in order to reduce kinks and increase maneuverability. 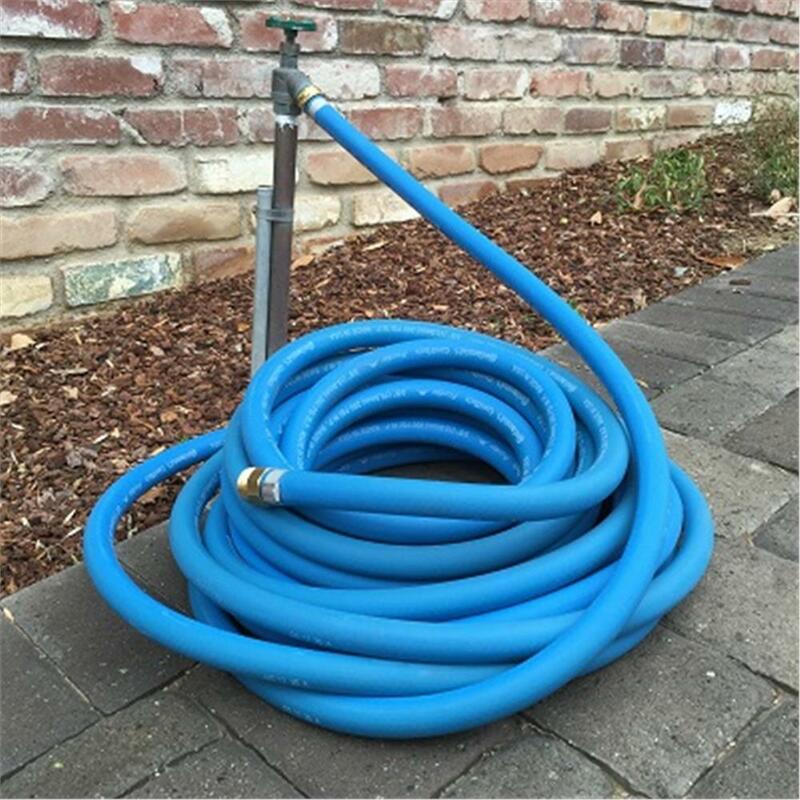 It is best used in combination with a trigger style hose nozzle (not included). Made in the USA.